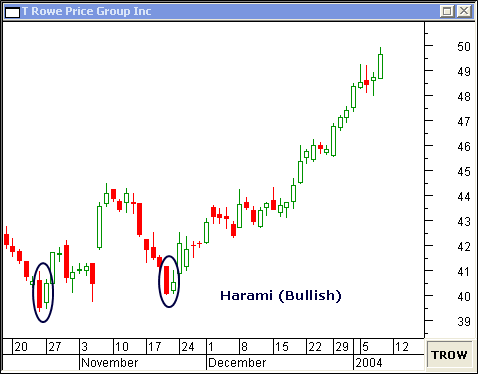 he Harami Candlestick pattern will forecast short-term price reversals. Learn how to spot this useful pattern by studying the following charts. 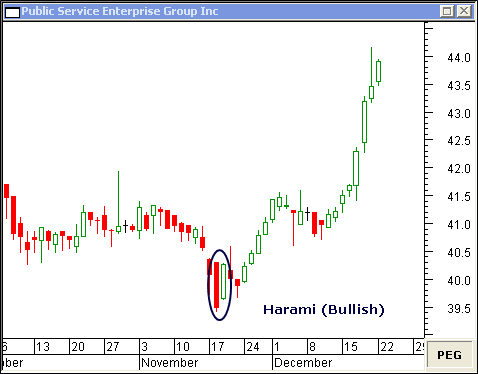 This daily chart of Public Service Enterprise Group Inc shows a Harami pattern which formed on November 19. Once the two-day pattern appears, there is usually no hesitation in price movement. 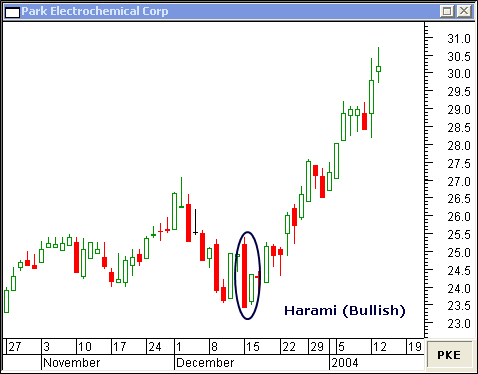 Again, you can see the quick run-up after the Harami appeared on December 16 in this daily chart of Park Electrochemical Inc. In this daily chart of T Rowe Price Group Inc, the Harami patterns formed on October 27 and November 21 define a classic W formation... which had a strong break-out to the up-side. 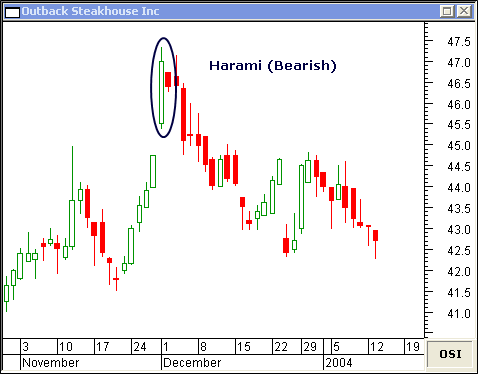 The Harami candlestick pattern will mark short-term market corrections, as well. 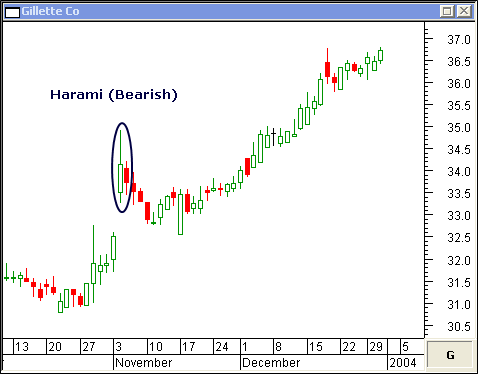 The November 5 Harami on this daily chart of Gillette Co was the beginning of a brief pull-back. 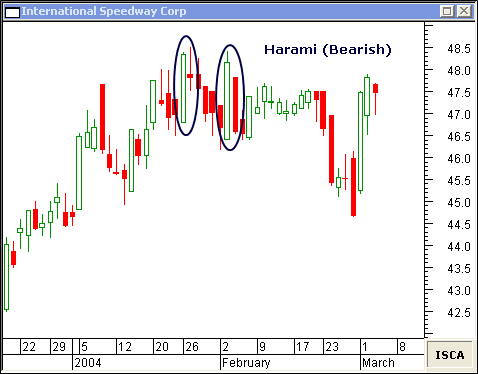 Two Harami patterns on January 27 and February 4 helped define a topping formation in this daily chart of International Speedway Corp.
A bearish Harami pattern will appear after a quick run-up... like this one which formed on December 2 in this daily chart of Outback Steakhouse Inc.